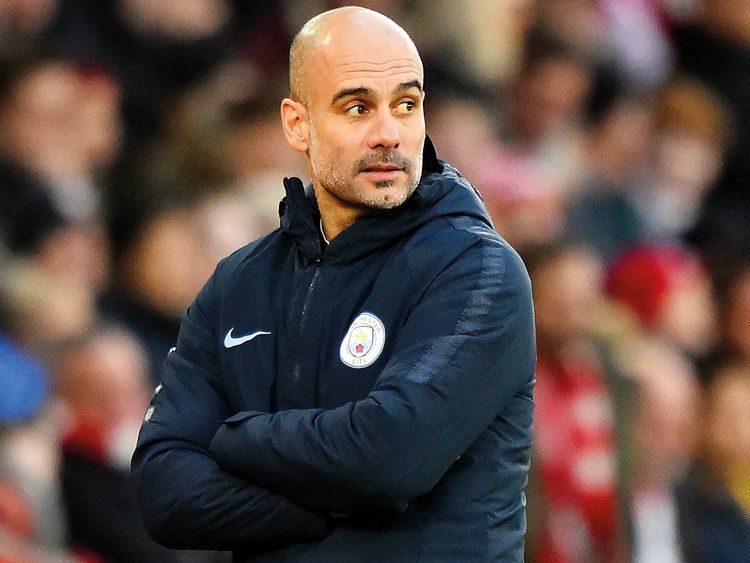 Manchester: Pep Guardiola needs a quick response from his side against Arsenal on Sunday to show that Manchester City’s challenge for the Premier League title remains intact. It could well have been worse after a lethargic display brought a surprising 2-1 defeat at relegation-threatened Newcastle on Tuesday, but Jurgen Klopp’s side struggled to take advantage as they were held to a 1-1 draw at home by Leicester the following night. Without Kompany’s authority, City are vulnerable to switching off, and that cost them heavily at Newcastle. They were not helped either by the tactics of their opponents, with Rafa Benitez setting up a 3-4-2-1 system that crowded the middle of the pitch and gave Fernandinho little space to operate in. The Brazilian midfielder, who has been one of City’s outstanding performers this season, did not have a good night in England’s northeast, clumsily conceding the penalty from which Matt Ritchie scored the home side’s winner. Kevin de Bruyne is one player still seeking that consistency, having so far failed to rediscover the form that made him the club’s player of the year last season. But the optimistic City boss said: “If we didn’t have the motivation, we would not be where we are, which is still in all competitions. “We are in the Carabao (League) Cup final, still in the Champions League, and we are there in the league. “People were saying not so long ago that we were the perfect team. My answer is the same now as it was then: Every game is a challenge.